At this years 2017 ECRM Everyday Show, we learned a thing or two about the sweets and candy industry. Sugar is up and everyone on the list still loves their gummies, sours, and gum. In the coffee category, right in time for Fall, get ready to enjoy real edible coffee on the go. Lastly, a new fresh way to eat your fruit and chocolate, without losing taste and removing even more artificial contents. These are the top 3 new fun, poppy, and tasty snacks hitting stores in Fall 2017. You can now enjoy Tennis star Maria Sharapova’s, Sugarpova fashionable candies & chocolate nationwide. Pickup one of her signature Sporty green gum balls, or maybe go with Flirty, Quirky, Sassy if you prefer gummies. No matter which of the six flavors you enjoy keep an eye out at your local college campus or neighboring retailer, you will see these sweet candies or chocolates very soon. 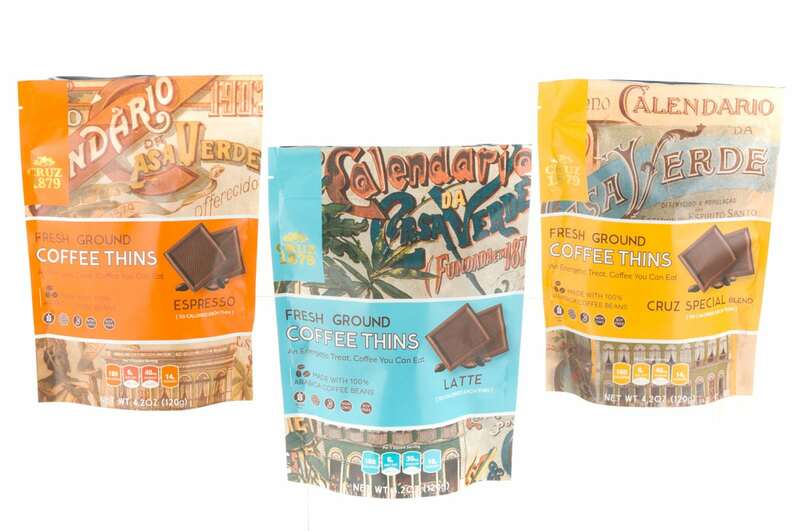 Add on to your list of favorite Fall trends, Cruz 1879 “Casa Verde” edible coffee thins. They may look like chocolate and even taste like your favorite latte, but they are 100% Coffee. Tierra Nueva has revolutionized technology to make these Coffee Lovers treats gritty free. Smooth, creamy and caffeinated, they will melt in your mouth. With only 3 coffee thins, the caffeine can keep you going just like your morning cup of Joe. Second place winner at ECRM for “Best New Item” our friends at Tru Fru, at Rainmaker we nominate them as a “Brands to Watch” in 2018. Freeze dried fruit covered in chocolate is going to be a NEW treat for you to experience. The hard coated chocolate shell has a nice crunch against the freeze-dried cherry, cranberry, banana and more. These bite size treats are sure to be a hit with their antioxidant, 100% Natural benefits. Keep an eye out for Tru Fru, coming to a store near you.